The real estate attorneys at Pulgini & Norton serve the unique needs of condominium and homeowners’ associations in the Boston area. Our skilled lawyers have substantial experience providing advice regarding the affairs of the planned development, including operations, management, and enforcement of bylaws and policies. Contact our office today to learn more about our services and how we can assist you. Condominiums in Massachusetts are created pursuant to specific state laws. The two main documents that govern the community are the master deed and the declaration of trust. The master deed is the document that legally creates the condominium and establishes the physical boundaries of each unit and the common area. The declaration of trust creates the condominium or homeowners’ association, which runs the property and manages property owned in common. It establishes the rules and restrictions that govern the use of the property. When a person purchases a unit in a condominium, he or she is automatically a member of the association and subject to its rules. The declaration of trust often includes bylaws. These address the condominium’s operational and administrative matters, such as when and how association meetings are conducted and the duties of the board of trustees. The association will also set up rules that govern the behavior of the residents, such as a pet policy. These rules are summarized in the association’s covenants, conditions, and restrictions, or CC&Rs. Condominium unit owners elect the members who will govern the association. Most condominiums in Massachusetts are created as trusts, so the unit owners will elect a board of trustees to enforce the association’s rules. The trustees are generally also owners in the condominium or development. Managing financial records and contracts. The association is additionally responsible for more complex issues that arise in running the condominium or planned development. These may include making substantive changes to the declaration of trust or bylaws, borrowing from banks or other lenders, granting or amending easements, and obtaining permits or variances for nonconforming improvements or conditions. The association also enacts and enforces land use regulation within the development, and it can take action if and when a unit owner fails to pay his or her common charges. Condominium associations have the right to impose a priority lien on unit owners who fail to make the required common charges. 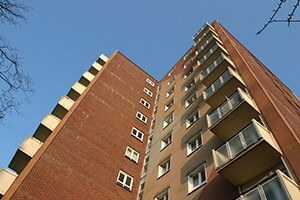 According the Massachusetts law, if a condominium unit owner has overdue common charges, the delinquent fees function as a lien against the property from the date the charges are due. The association has the right to commence a super-lien process. If done correctly, the condominium’s lien would take super-priority over any other non-municipal liens on the property for up to six months of unpaid fees. To perfect the lien, the association must notify the unit owner and its lender once the unit owner is 60 days delinquent on his or her common charges. It must then send a separate notice to the lender 30 days before filing a suit to obtain super-lien status. At Pulgini & Norton, our seasoned property lawyers counsel condominium and homeowners’ associations in a broad range of governance and real estate matters. We advise clients in Boston and the surrounding area based on careful interpretations of the relevant laws, and by carefully reviewing the property’s governing documents. With more than 40 years of collective experience in Massachusetts real estate, you can depend on our capable guidance in your condominium matter. We serve clients throughout Somerville, Medford, and Lowell, among other communities. Call us at 781-843-2200 or complete our online form to arrange a consultation today.